But we skip the winter. Readin' books and writin verses. From the noise we were makin'. So we rock the verbs. So forget what you heard. Throw your hands up high! Tear the roof off and pull down the sky! To lighten up the mood a little. But never playin' second fiddle. With Jesus in the middle. I dont rhyme to riddle. No neet to be alarmed. 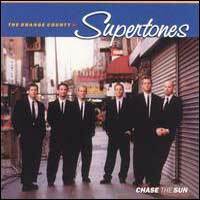 Supertones is what your smellin'. Then baby I'm a fellon. My people, there's no tellin'..
Back on the road just to see you? We got no time to dally. And chase the sun back to Cali.